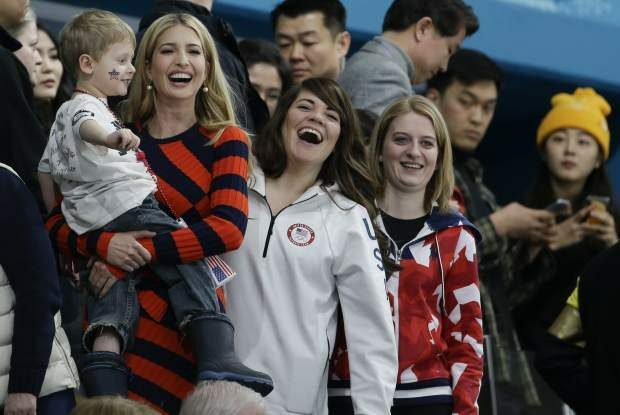 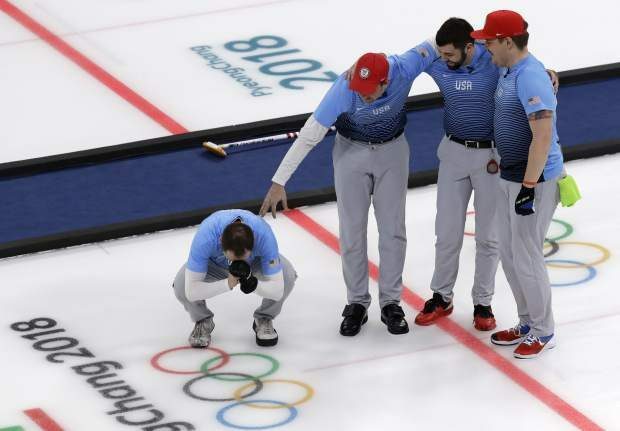 The United States team celebrates during the men's curling finals match against Sweden on Saturday. 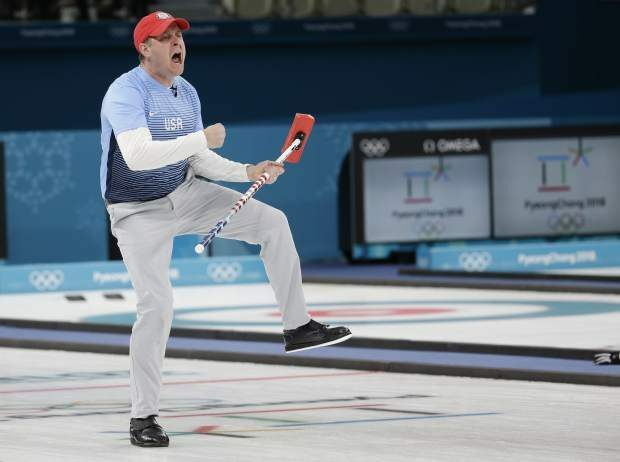 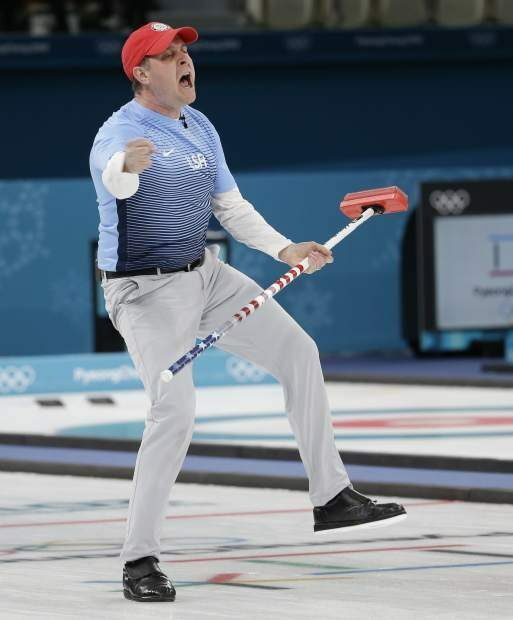 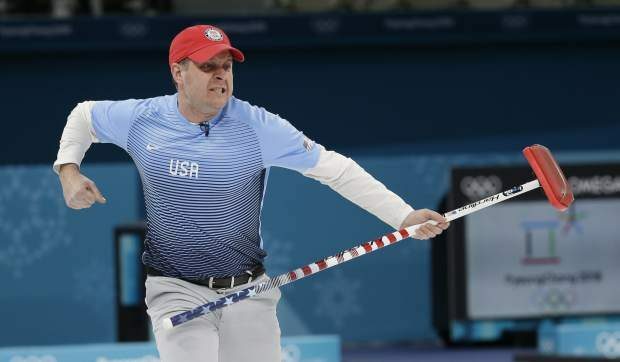 U.S. skip John Shuster reacts during the men's final curling match against Sweden at the Winter Olympics in Gangneung, South Korea, on Saturday. 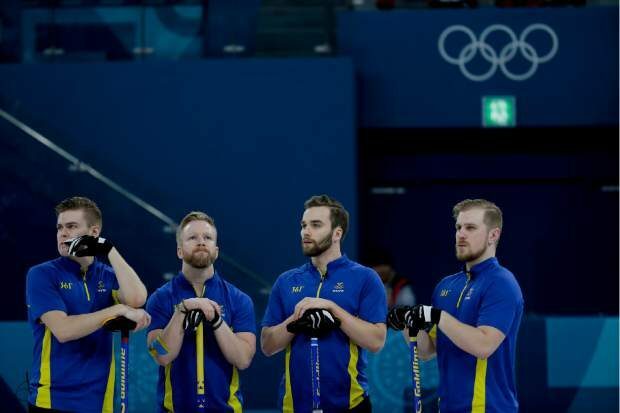 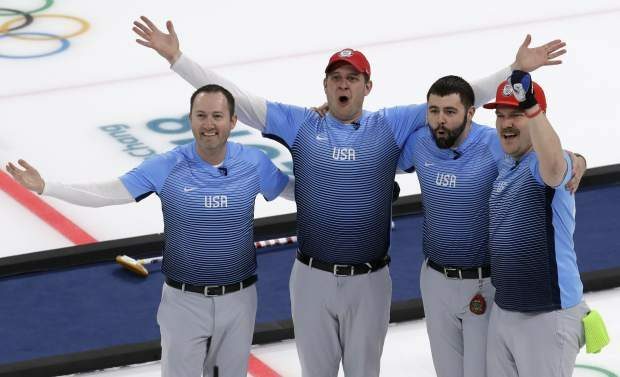 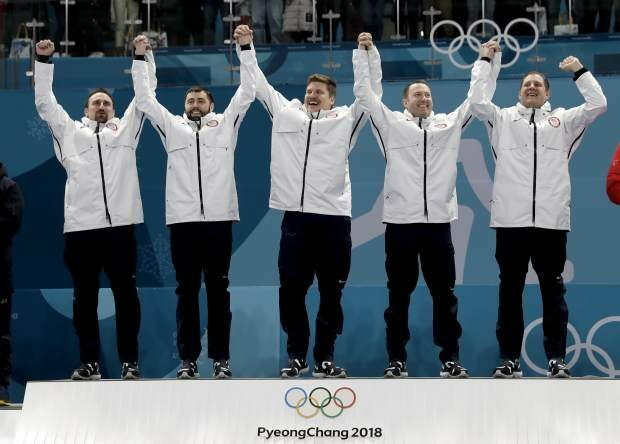 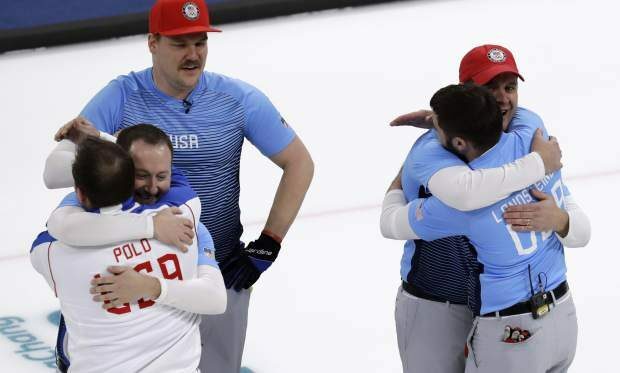 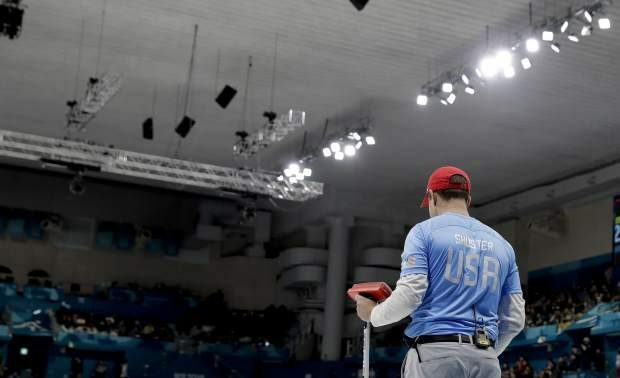 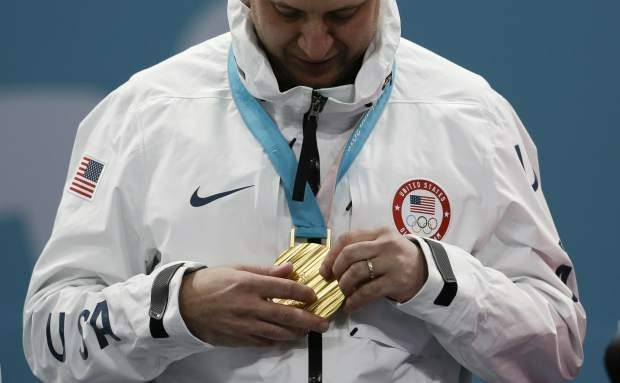 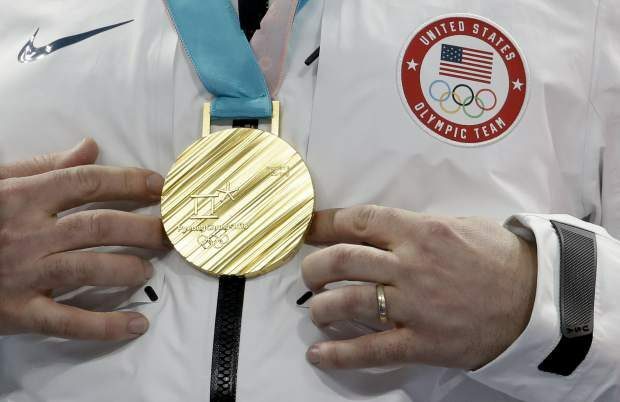 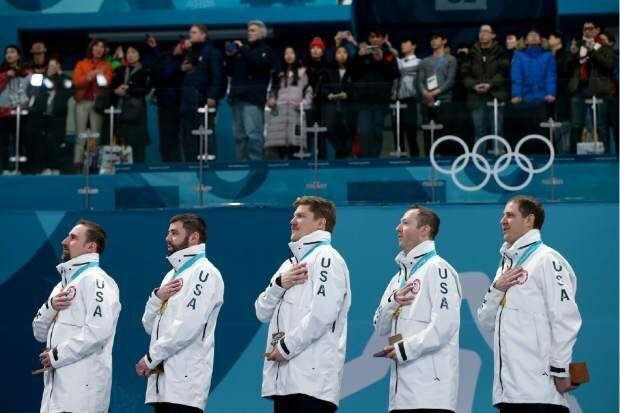 GANGNEUNG, South Korea — John Shuster’s last throw in the eighth end of the Olympic curling final clacked off one Swedish stone and knocked it into another, sending them both skittering out of scoring range.